Murrays is a bakery with more than a hint of nostalgia to it. 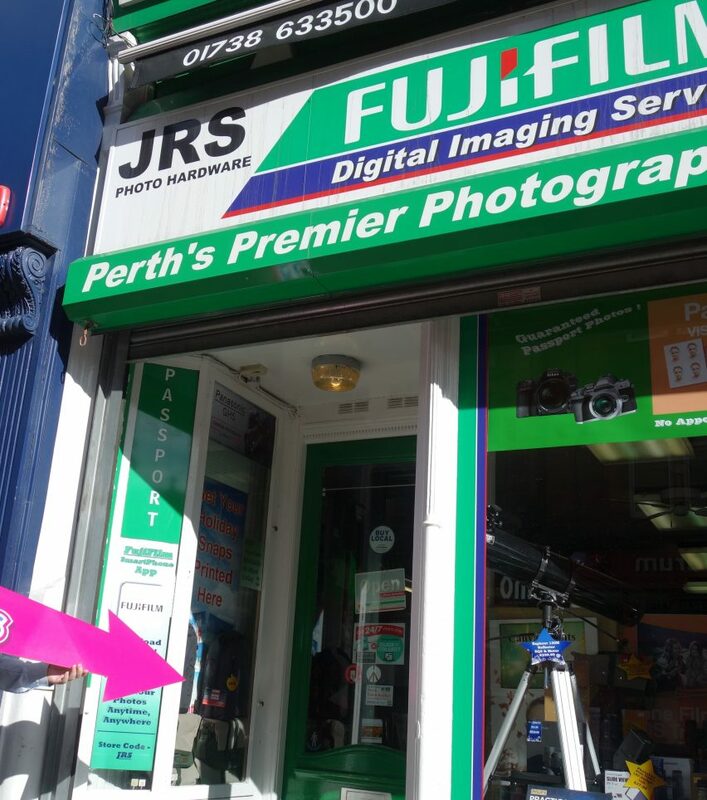 The history of the business is woven throughout many lives in Perth. If you're from Perth, or have lived here for any time, you're bound to have had a Murrays pie for lunch. Their food is all still made on site. No re-heats; no par-baked pastry, shipped in then toasted. Every step of the baking process is done at Murrays. There is something unrepeatable, something inimitable, about a mouthful of crumbly, hot, golden, pie pastry, fresh out of the oven. As an added bonus customers are spared the ‘pasty tax’ issued on food that has been heated up. We popped in for a visit with Linda Hill (Managing Director and great-granddaughter of John Murray, founder of Murrays Bakers). It's obvious that Murrays' customers are of vital importance to them. In our short visit we saw that staff knew many customers by name and could guess their order before it had even been placed. It’s a business that knows the importance of looking after you. The customers notice this too, Linda spoke with pride of the number of Christmas cards and presents that they receive from their regulars. There can’t be many bakeries that find themselves added to people’s Christmas card list. Murray’s offices are upstairs from the main shop. It’s a cosy wee place that has a homely quality to it. We found out that the 'homely' quality is more than a coincidence. Linda explained that we're in what used to be her granny’s home. Her granny worked at Murrays well into her nineties (back when they had their tea room across the road). Even after she retired she was known to phone the shop and check up on how things were going each day. Murrays were declared Scottish Bakers Craft Baker Of The Year 2017/18. Their skills as bakers have led them to get fairly accustomed to coming first in things. 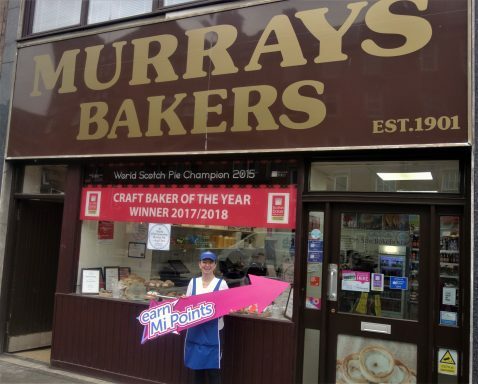 In 2018 Murrays also won the Diamond Award in for their Tattie and Bean pie in the ‘Best Hot Savoury’. 'Hot Savoury' is a pretty broad idea which means there was, understandably, a lot of competition from some very fancy pies. All the same, the judges saw the quality and Murrays Baker's simple yet delicious tattie and bean pie won out. Their curry pies (which are made using curry from Tabla) won the curry pie bronze award. It seems using a local master of curries can give you a competitive edge when it comes to curry. After all, Tabla is no stranger to winning awards either; having won; “Outstanding Curry of the year 2018” at Scottish curry awards and “World Cuisine Chef of the year 2018” at Scottish food and drinks awards. Murrays will be visiting the Scottish Bakers Annual Conference & Awards 2019 in June. This is where the totals are tallied to reveal the next winners of each bakery category. It's not long until we find out the next winners. Good luck Murray’s! We’re sure you’ll win yourselves a few more awards to add to the collection. 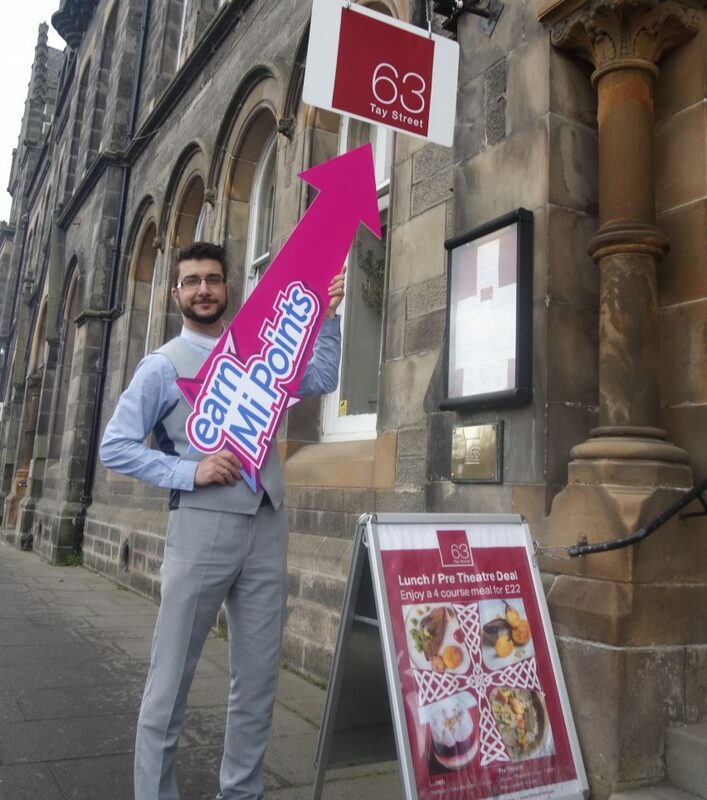 Now the team at Mi Rewards have even more of an excuse to pop along to Murrays for lunch. A tasty pie, a famous Murrays pineapple tart, and pretty soon a fancy coffee from their new coffee machine. All of that and you can now collect Mi Points on every purchase from Murrays. 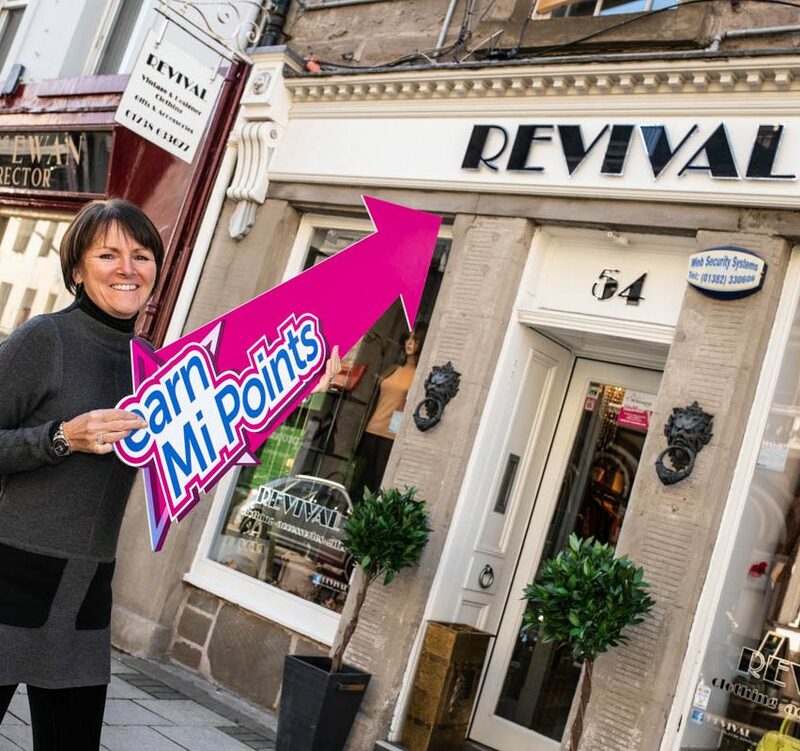 You can collect loyalty points when you spend at any of over sixty businesses throughout Perth if you're a Mi Rewards member. If you haven't signed up yet it's quick, easy, and free. Simply click on this link to register for Mi Rewards today, and next time you buy a pie and a pineapple from Murrays you'll get a wee bit back.